You’ve targeted your online audience and produced compelling and relevant YouTube videos. Your in-stream or display campaign is now activated. Now you sit back and wait. But, wait for what? You’re waiting to see what your view rate is. 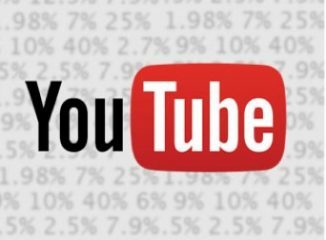 View rate counts the people who viewed your video ad after seeing it on YouTube. It is a ratio showing the number of paid views of your video to the number of impressions generated. For example, if you had 5 clicks and 1,000 impressions (very easy to get in a YouTube campaign), then your view rate would be 0.5%. Think of view rates being similar to click-through rates (CTR). The value of your video campaign and video marketing is therefore defined by the strength of your view rate.